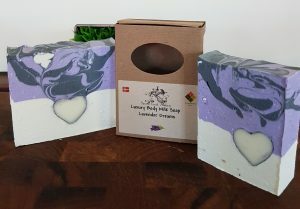 Short Product Description: Scrub away dead skin cells and feel your blood circulation come to life with raw cane sugar combined with nurturing oils and beautiful fragrances. 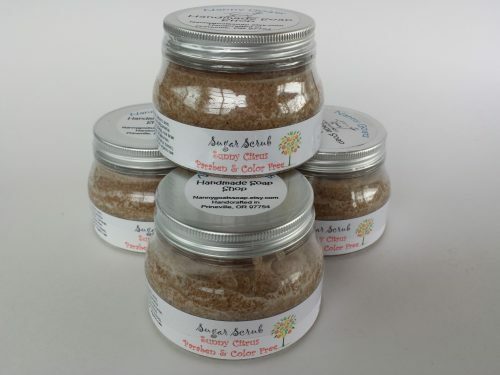 No better way to take a bath or shower than with the rejuvenating benefits of sugar scrub. 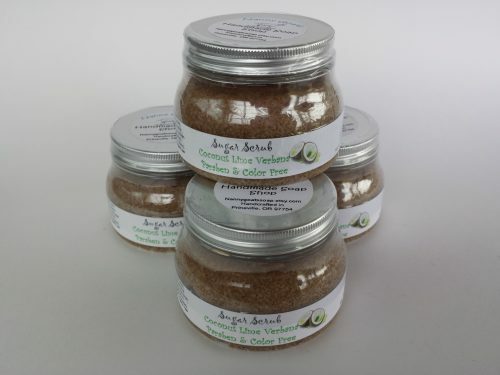 These are Spa quality scrubs made with pure raw cane sugar and skin loving oils to revitalize your skin and there’s no need to moisturize after using these if you don’t want to. Experience the skin softening exfoliation of these scrubs that will leave your skin with a healthy glow, soft and dewy to the touch, tingling with circulation, and well nourished and silky smooth. These work much like a body lotion once after the sugars are rinsed away. Use after washing with soap or in place of soap.